For the patient, the pharmaceutical supply chain can mean the difference between life or death. It is very complex, and in the developing world, it often has to operate in a hostile environment of poor infrastructure, black markets, and a flood of counterfeits. We can learn a lot from how a leading logistics provider, Imperial Logistics, tackles these problems. Substandard and falsified medical products are by their very nature difficult to detect. They are often designed to appear identical to the genuine product and may not cause an obvious adverse reaction, however they often will fail to properly treat the disease or condition for which they were intended, and can lead to serious health consequences including death. Counterfeit medicines are not produced under the same strict standards as commercially produced drugs, so even if they contain active ingredients, the dosages are often inaccurate. In addition, these counterfeits often contain impurities, toxic chemicals, bacteria, or inactive ingredients such as corn starch, potato starch or chalk. The consequences can be fatal. The problem is widespread. In 2017, WHO compiled research that included 48,040 drug samples and found that 5,072 were substandard or counterfeit. That’s 10.5 percent of the total drugs on the market. 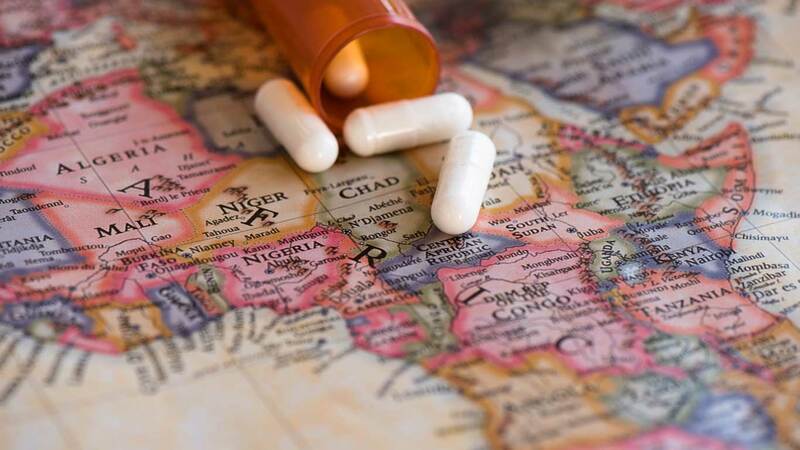 In the low to middle income countries with a total market size of $300 billion, this substandard drug segment represents a huge $30.5 billion market. The total human cost is incalculable, but WHO estimates between 72,000 to 169,000 children die annually from childhood pneumonia alone due to falsified and substandard antibiotics. This is the threat that Imperial Logistics plans to address with its Blockchain-enabled Control Tower solution from One Network. In addition to the threats of substandard and counterfeit drugs, the pharmaceutical supply chain is extremely complex. In 2005 a working group (Supply Chain Management Systems) tasked with delivering antiretrovirals in Africa, set out to map the supply chain process flow, roles and metrics with sticky notes. They needed an 8 x 50 ft wall to do it! The supply chain is long, extending from India, US, Europe and across Africa. It spans multiple parties, including: manufacturers, distributors, global freight forwarders, domestic logistics. Once in-country, the drugs need to be transported through another three to five layers, from Central Medical Stores, through provincial warehouses, regional warehouses, to hospitals and clinics before they finally reach patients. At each of these hand-offs, from the ingredients and patient packs, there’s a risk that a compromised product will enter the supply chain. Now consider that each of these parties and nodes operates different systems, even multiple different systems, and the degree of complexity is becomes multiplied. There are often a dozen hand-offs of the product, and a similar number of information transfers. How do you ensure that only genuine product moves through the supply chain, and how do you coordinate and manage 400 million patient packs a year and the data they generate from 4 billion scans? The first problem is gaining control and managing the complexity of the pharmaceutical supply chain. Given the number of parties involved in the supply chain, point-to-point connections are time consuming and costly to implement. And when implemented, it is impractical if not impossible, to achieve seamless data flows and global, real-time visibility across the entire supply chain. Imperial Logistics moves 400 million patient packs a year. They are scanned about 10 times each on their journey. This amounts to 4 billion scans and data transfers. How do you track a patient pack and reconcile this data across all parties, each running their own systems? A network-based control tower connects all parties and enables them to share real-time data across the network, providing end-to-end visibility, alerting, collaboration and more. Everyone (agencies, manufacturers, distributors, wholesalers, medical stores, clinics, etc.) can see where the product is being bought, stored and moved, throughout the supply chain. But as Clinton says, this is not enough to secure the supply chain. 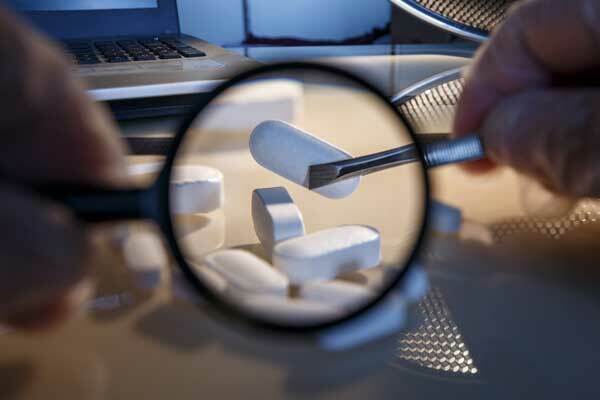 There is still ample opportunity for criminal elements to introduce fake drugs at many points across the supply chain. Authentication – inspection and verification of the drug active pharmaceutical ingredients. Equipment scans the product and determines both chemical composition and the dosage and instantly compares it to a library maintained by One Network and validates the drug. Serialization – each product barcodes (GS1 compliant) on each patient pack enable track and trace throughout the supply chain. This also enables precise and efficient recalls. So for example, if a scan identifies fake product, Imperial Logistics can immediately remove it from the supply chain, and has its history and chain-of-custody. This will help narrow down where it entered the supply chain. The relevant data from all the parties that handled the product can be shared on the blockchain with other parties, law enforcement, and regulatory agencies, so they can take the appropriate steps. An ERP-based approach won’t work. Given the complexity of most supply chains, point-to-point integrations and messaging are not practical. You need a real-time, digital network. This enables everyone to connect to everyone else, with a single connection to the platform. Serialization. You need to serialize product at the patient pack level to enable effective track and trace throughout the supply chain; and to manage targeted recalls efficiently. Digitization – Digitize processes where possible, so information can be captured, analyzed and shared in real time where necessary. Automation – Given the volume of product and data that supply chains move and process, automation and artificial intelligence are necessary. For example, you can use AI and machine learning to sift through huge volumes of data and identify anomalies and out of specification product. Blockchain – Blockchain provides a shared, trusted, and tamper-proof record of data and transactions across the supply chain. Imperial Logistics are using it as a “safe space” to share information with trusted partners, law enforcement and regulators, while ensuring each party’s information remains confidential. I encourage you to sit in on the control tower for pharma discussion and get the full picture and all the details. In particular, Bernard Goor discusses the business problems and regulatory issues faced by companies, some of the technological solutions such as Blockchain, that have been deployed, how they differ from other solutions, and the benefits. Previous Post:Why Do Control Tower Implementations Fail?